Wire processing involves stripping, cutting, or otherwise prepping a wire to be used. Wires need to be processed before they can be connected with wire terminations for specific electrical projects. It can be a tricky process and, if not done properly, a short or a connection break may happen. 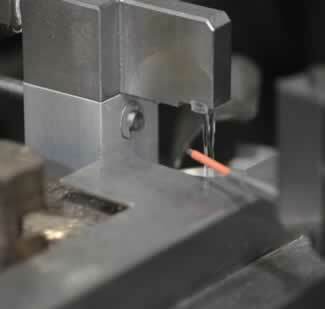 First, the wire is cut to the desired length, either using a machine or a hank wheel. Then, to strip the wire, the outer jacket is carefully taken off, leaving the conductors exposed. A special tool is then used to remove the insulation from around the conductors. Once that is done, if the wires need to be further processed, they may be heated or dipped in tin. Omega Leads, Inc. offers a variety of value-added wire processing services, including wire stripping, wire cutting, and more, to give our customers products that match their exact design specifications. Our wire processing services are available for wire as small as 32 gauge wire and as large as 2/0 cable. We can add any packaging options you choose and deliver the finished products directly to your door. Request a quote or contact us today to learn more about our wire stripping and wire cutting services. To eliminate any quality issues, Omega Leads utilizes state-of-the-art equipment, computer controlled, automated equipment for all our wire processing services. Our wire cutting and * stripping equipment, for example, eliminate nicked conductors that may be caused by manual processing and overlooked by the untrained eye. Our advanced wire processing equipment processes wire quickly and with remarkable precision, without damaging the insulation or conductors. The technology that controls our wire cutting equipment holds extremely tight tolerances and can cut wire in specified lengths and strip insulation at the lengths needed in a single, efficient process. It can also window strip wires to your specifications. We can provide an unlimited array of wire processing services to meet the unique specifications of your custom wire harness or cable assembly even if you only need wire process to length with prepped ends using terminals or tin plating. As with all of our processes, our wire processing capabilities meet IPC/WHMA-A-620 quality standards. We are UL and CSA certified, and ISO, RoHS, and WEEE compliant. 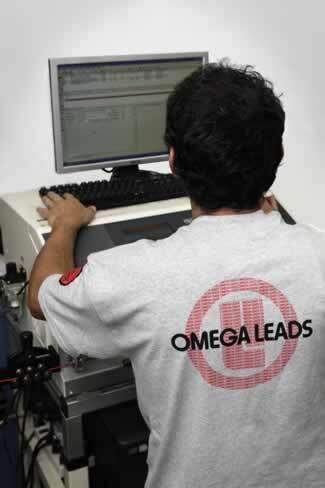 Every Omega Leads custom wire harness and custom cable assembly are electrically tested and are made in the USA. Omega Leads’ wire processing services deliver installation-ready wiring for your project in a fast, accurate, cost-effective way. Request a quote on wire processing for your project, or contact us to learn more.